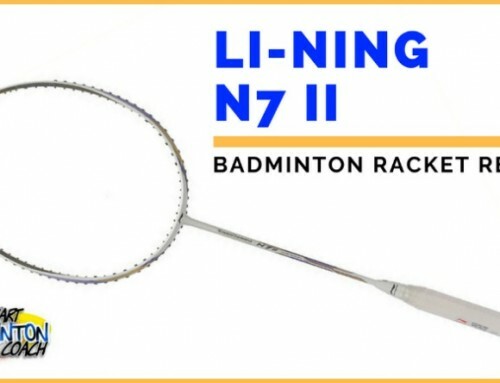 7 Common Causes of a Poor Badminton Backhand Clear and How To Correct Them. After studying badminton players on court and on video, there are a number of common faults emerging that can be corrected relatively easily. Before I run through the various faults and tips to improve, please check you are playing with the correct speed of shuttle. If you’re not sure, refer to my video and article on the subject. Without doubt, if you are playing with slow shuttles, it’s most likely you’ve developed all sorts of bad habits to hit a decent length whether on your forehand or backhand. In fact, I’ll wager you’ve almost given up on ever hitting a decent backhand clear if you’re playing with slow shuttles. So get your shuttle speed right first! 1) Incorrect grip. Perhaps the most basic and yet often neglected skill is changing grip. Badminton is played at a faster pace now and therefore it is imperative that basic skills are mastered in order to cope with this change of pace. The only time you could get away with using a forehand grip of sorts, is when the shuttle has already travelled behind you. Then, and only then will a forehand grip present the racket face properly to the shuttle in order to play this shot, although it is extremely difficult. Tip No1. Practice grip changing whenever you can. It’s a simple thing that can be done whilst watching TV. Refer to my video “Armchair Exercises” to see how simple this is. Make sure you watch your hands initially to check you are holding the racket correctly. Also, practice the bevel grip which is basically a forehand grip but you move your thumb onto the short side if the grip rather than on the larger flat area (almost 10 2 position if you think of your grip like a clock face). 2) Incorrect footwork. In order to hit any power shot, you need to be positioned correctly. With the backhand, moreso than forehand, your feet need to be firmly on the floor to provide a solid base. That doesn’t mean this shot cannot be played whilst in mid-air as the pros can hit the clear from this way. But, for the majority of players having both feet on the ground is essential to generating the power required to hit a decent backhand clear. Tip No2. Many players stand with their feet parallel when trying to hit the backhand clear. This isn’t the best position for your feet as it’s not the most balanced. Ideally, you need to move your racket leg a step towards the rear court so you’re almost in a standing lunge position. This provides greater balance and a more solid platform to hit from. 3) Body position. Whenever I study players with poor backhands, most are so afraid of the bad results they expect to get on their backhand, they fail to prepare properly to hit the shot. After moving towards the backhand, they step to the side and only partially turn the shoulders to hit the shot. This means the racket is starting from the wrong position and following an incorrect path towards the shuttle – an in-to-out path. Unless you’re extremely lucky, the path of the racket will always be different to the direction you wish the shuttle to go. That’s almost like trying to hit a nail into the wall when the starting position and path of the hammer is at one side of the nail – almost impossible to hit straight. Tip No3. So, you’ve moved to the shuttle and planted your foot. Great! Now turn your body so your back is virtually parallel to the net. Now you’re ready to hit the shuttle as your racket is in the correct zone and flight path towards the shuttle. 4) Position of the shuttle. To hit a good clear, the shuttle should be struck when it’s in line with your body. If the shuttle is in front of you i.e. closer to the net, then in reality you have the time to hit a round-the-head shot. The majority of errors I see are due to the shuttle being struck from behind the body – the most difficult of shots to master. Tip No4. Ask your partner to feed a few shuttles into your backhand hitting zone. Move to the shuttle as though you are going to hit your backhand clear. Now, let the shuttle fall to the floor and notice the landing position. Where is it in relation to your body? Repeat 5 times to check for consistency. Is the shuttle landing in the same place? If so, you know how you need to change your positioning in order to be in the right place. Make adjustments and repeat the exercise. It may feel strange but that’s good. Now ask the feeder to lift again and hit a few shuttles. Stop every few and allow the shuttle to hit the floor to check you’re still in the correct position. 5) Hitting action. There are a number of common hitting faults. If you allow the shoulder to lead, effectively you are turning your body before the hit. This means you change the path your racket must take to connect to the shuttle and generally you end up with an in-to-out action. Another simple mistake here is throwing the whole arm at the shuttle with a big follow through. There is no power or direction in this technique and the clear will always be weak. Tip No5 Did you ever flick a towel when you were in school? Remember, it was the pull-back action which generated the power. If you simply flicked your towel without this action, not much happened. This is the type of power hitting action you need with the backhand clear. Point your elbow towards the shuttle, this is your pivot point. Throw your racket at the shuttle and tap as you hit. Do not extend your arm fully with this shot. You should not have a follow through in the hitting action as it’s a bounce-back hit. The racket may move in a follow through line as part of your recovery. 6) Recovery. No matter what shot you are playing and where you are on court, it is essential that you hit and move. It’s amazing when you watch players how many times they are admiring their shot whilst stationary, rather than hitting, watching and moving. If you don’t recover from the shot, you won’t be in a good position to cover a possible return. The danger here is that some players try to push off from their racket leg whilst playing the shot, which completely changes the path of the racket. Tip No6. Make sure that as soon as you hit the backhand clear, you move to your base. A simple exercise here is to do a count of: hit, 2, 3. By the time you count 3 you must be on your base. As you move, you can still watch the shuttle. It is possible to watch and move at the same time! Use this technique with all shots and you will get faster on court. It’ll also prove how much you’ve been shuttle watching and wasting time! 7) Tension. Perhaps the biggest cause of weakness in any power shot is the amount of tension in your body and racket arm. It’s impossible for your muscles to work efficiently and effectively when you’re too tense. Tip No7. Focus on holding your racket really gently – just enough that it cannot slip out of your hand. Play a few shots on court to get the feel. You’ll probably feel very different. Only tighten your grip a fraction before impact and then loosen again. Once you get comfortable with this, try hitting your backhand clears. You should find you have more power. If you’ve developed a style over the years that incorporates some or all of these faults, then you can, in time, correct them. But, please be patient. If this is the case, focus on tips 1 and 7 first because they will give you the greatest improvement in the fastest time, especially tip number 7. After that, it’s best to follow in sequence because that’s the sequence of the stroke cycle – move, prepare, hit, recover. As always, have fun and let me know how your backhand is improving as a result of this article. I’m not sure what you mean by this. pLease explain. Hi Paul. I’ve been coached several ways to use the backhand and the way i find most effective was what was posted on top. But one thing i find is, when you do your backhand with elbow bent, you are much more susceptible to getting tennis elbow, golf elbow if the wrong force is exerted. Now i prefer using the turn of the wrist rather than actually using my arm unless if it’s a forced smash. I also find an important factor is the contact of the bird with your racquet face. If you ‘slice’ the bird, the bird isn’t going to go anywhere for a clear. As with all power shots, racquet face, sqaurely applied will provide maximum force. Timing is everything, rather than strength and that’s where technique really plays its part. You also need to make sure you’re playing with the correct speed of shuttle, something the pros don’t even need to consider. A good backhand begins from the feet, as you must be able to move well and get into position as part of your preparation for the shot. I’m covering backhand clear in video 3 of my Online Coaching Program. We will be filming videos 2 & 3 within 2 weeks. Keep sending in your comments. Good point. There are so many causes of a poor or weak backhand. Sometimes having a simple check list like the 7 causes helps eliminate the possibles to leave the root cause. I’ll be filming a video on backhand clear for my Online Coaching Program very soon, so it’s going to be very interesting how that is received. I find that the biggest cause of a shorter backhand clear is to do with the height that the racket hits the shuttle. I think that a majority of the time, a player will over-think the technique of the shot and forget to take it as high as possible. Remember! The lower you take the shot, the more effort you have to put in to get it to the back of the court! Once you can train yourself to hit a higher backhand, you’ll naturally do that in-game and THEN you can concentrate on your technique! Just wanted to thank you for helping me to improve my backhand clear. You had mentioned on your blog that both feet need to be firmly on the ground, and also that the shuttle should not be behind the body when we hit the backhand clears. Ever since I tried these two things out, I have noticed that my backhand clears have improved a lot. Thanks again for your advice, and also for taking the time and effort to host your website. With the number of players I’ve helped this year alone regarding this subject, I think I’m getting all the practice I need to make backhands a speciality of mine. Can you explain this more?? any pics?? Good question. Think about the hit itself. Look at the second picture of LCW and in particular the position of the racket hand on impact. If you complete the shot palm upwards, what’s happened to the hitting action? Hope this helps. This is a subject I’ll be disecting in my online video program, which will go live mid/late April. a video on this topic would help us even more..like the smash video. I will be filming on this subject but it will probably be for my online coaching program, due for release mid/late April. I agree with you. I purposely did not mention this as I didn’t want players focussing on twisting when the supination is a natural movement once preparation is correct. If your palm is pointing upwards at the end of the shot, I assume this is part of your recovery process as the hit action should leave you palm side on? Many thanks for the article. Backhand clears has always been my Achilles heel in badminton. 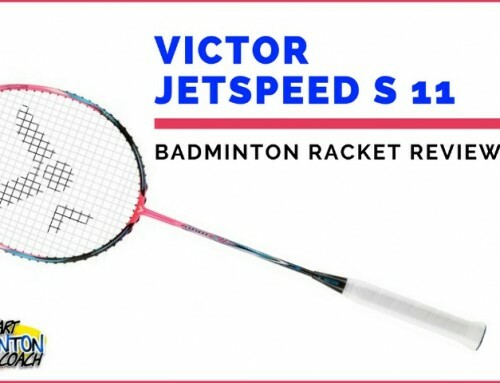 I have a couple of follow up questions regarding rackets and getting an acceptable backand clear. I have just cracket my old Prince racket (at last) an I’m about to buy a new racket. I’m an intermediate player I have not the techniqe and wrist power as a top level player. Do you think I would get more speed in the shuttle if I use a more flexible shaft instead of a stiff one, for instance Arsaber 7 compared wirth Arc 10. Also how important is the grip size? I suspect I’ve been playing with a too large grip. I’s there no rules of thumb to follow? With regard to buying a new racket, test as many as you can and choose what feels right for you. Whilst Arc 7 is certainly more flexible than Arc 10, both are great rackets. What string tension are you using at the moment as this is the biggest contributor to power? Finally, grip width is a personal thing. Gade has a very wide grip, whereas Taufik, LCW have smaller grips where the third finger just touches the fleshy part of the lower thumb. As for Lin Dan, his is so personal, with half the wood showing, but it works for him. Have you checked out my article about improving your smash? Let me know and for a limited time you can always send me a video and I’ll analyse your technique for free. When I hit the shot, which part should I release power? Wrist? Arm? or I should use all the body’s power to hit? p.s This paragraph let me improve very much.Thanks a lot. Rather than try to analyse too much, the best thing is to get on court and try a few things out. If you have prepared correctly and your elbow is pointing towards the shuttle (see LCW picture), all you need to do is let the racket fly with little tension. If you focus on your wrist you will be hitting incorrectly as she shot is played by the movement in your forearm. For the wrist to snap, your grip would have to be pan handle and their would be nothing behind the grip to give the shot any strength. When I was young, I always thought the backhand meant hitting with the back of the hand. WRONG! Every backhand you hit is virtually a karate chop. You hit with the side of your hand leading. Even pro players cannot hit a decent backhand if they hit with the back of thier hand. The main power from any shot comes from the movement in the forearm. This is why I’d rather you prepare correctly and then accelerate your racket towards the shuttle and tap it hard. Let me know what happens when you try this. As you know, we already analysed your backhand by video since you live in Israel and I’m in UK. 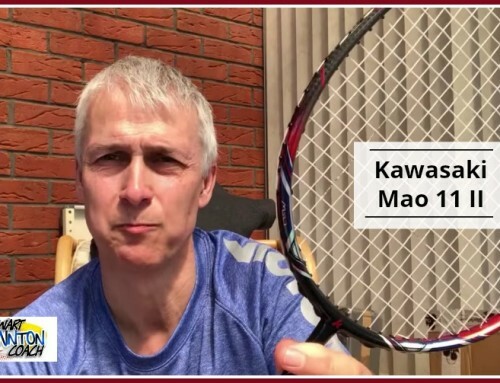 The above points were the main areas I questioned when watcihing your video and I’m delighted that you have since had major success with your backhand. After all, you did the work, not me. Keep up the good training and success will come your way. Thank you for this great article! Totally agree with these 7 points! I’ll take it as a great compliment since you’re a fellow coach! I hope your students like it and take action too.